This laundry startup successfully raised millions of dollars by making the task a bit more bearable. Laundry is a task nobody likes to do, yet it’s an essential part of everyday life. In the laundry space, there hasn’t been much innovation over the past few years. 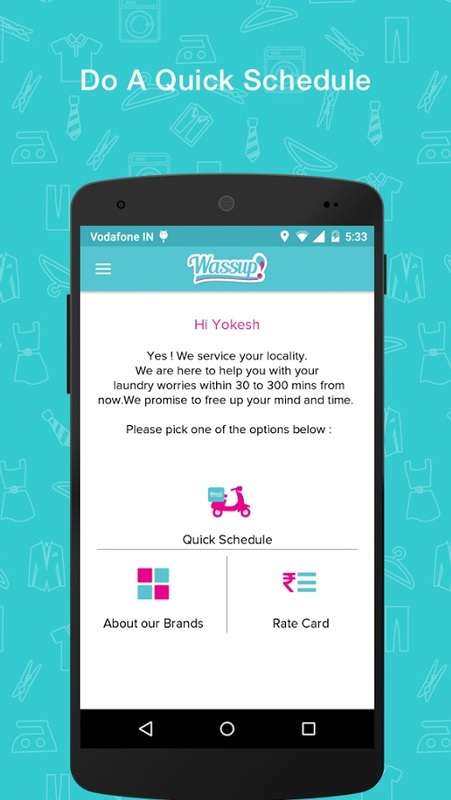 Laundry service Wassup is looking to change that space by making an app for laundry pickup/delivery. While it’s not necessarily the sexiest startup out there, the business is raking in the dough – raising $3.2 million from investors this week alone. Despite their recent funding rounds, gaining users remains a formidable challenge for Wassup. “It’s tough entering an area where a [laundromat] has a stable clientele. But our idea is to draw them into our system and offer them a role. We have many of them directing excess orders to our retail outlets.” As founder Balachandar R. mentions in a conversation with The Hindu Business Line. Users can get Wassup’ed via the mobile app, website, phone call, or by visiting a local franchise. Once an order is made garments are first picked up and the customer is given a receipt. The garments are then tagged and sorted by fabric/stain/color. Depending on the stain level, the garments may undergo pre-wash treatments. Once those steps are complete, the wash process begins, After completion, the garments are pressed, packed, and returned to the consumer. The process typically takes four days for regular service and 24 hours for express. Each of their facilities has the capacity to wash five tons of garments per day. YourStory references a KPMG study which found that the organized laundry market in India is around Rs 5,000 crore while the unorganized market is around Rs 2,00,000 crore. Founded in 2012 by Durga Das and Balachandar R in 2012, the company has since raised $5.7 million in three rounds from four investors including Anil Jain, Arun Chandramohan, Praveen Sinha, and Refex Energy. They also acquired a couple of companies recently. In 2016 they bought out Ezeewash and in 2015 they bought out Chamak Direct. The company plans to use the funds to invest in a solid management team along with improving the user experience and customer satisfaction associated with their application. Wow, that is a lot of funding. It is hard to turn your head away from a startup that has that much attention! I would totally work for an app like this. I do not mind doing laundry and there is always someone that will do the tasks that you do not want to, right? I am in line! You are right! There is a dog poop application and it works well. Just about any task we hate doing there is a person willing to take your money for doing it for you.